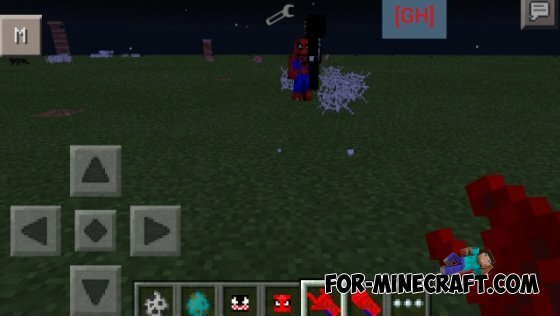 This mod will add to your inventory new items that will give the ability to - for example shooting web. 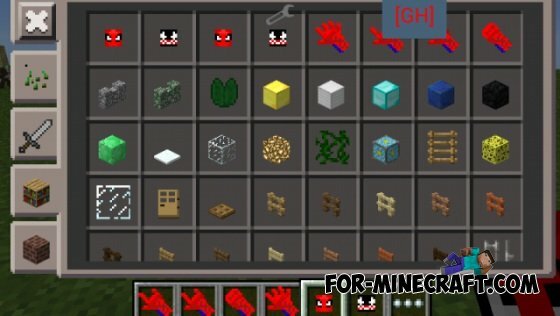 In total there are 4 different types of gloves that have their own ability, and have Venom and Spider-Man heads, they need to spawn these Marvel characters. 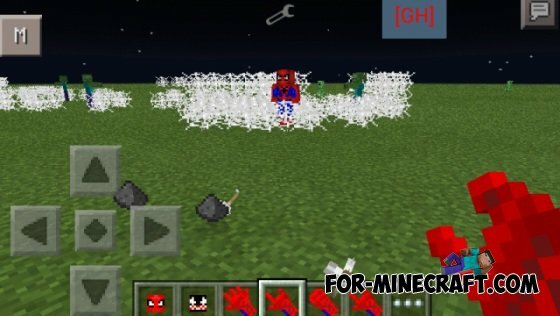 Dubstep Gun mod for MCPE 0.10.4The mod adds the gun from the most freaky game Saints Row. When shooting will play dubstep, depending on the gun.